device such as Screen, disk or printer. certain operation on data and manage the data. Management of Users associated with the database. allowed to perform any action which is restricted to that user. shared and consistency is controlled and maintained. 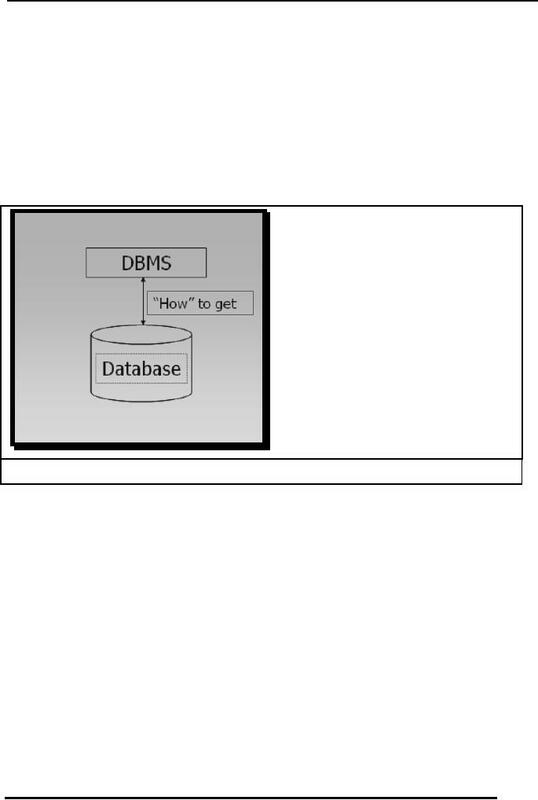 DBMS is the most effectively control and maintain security of Data stored in a database. The data needed for the new application already resides in the database. 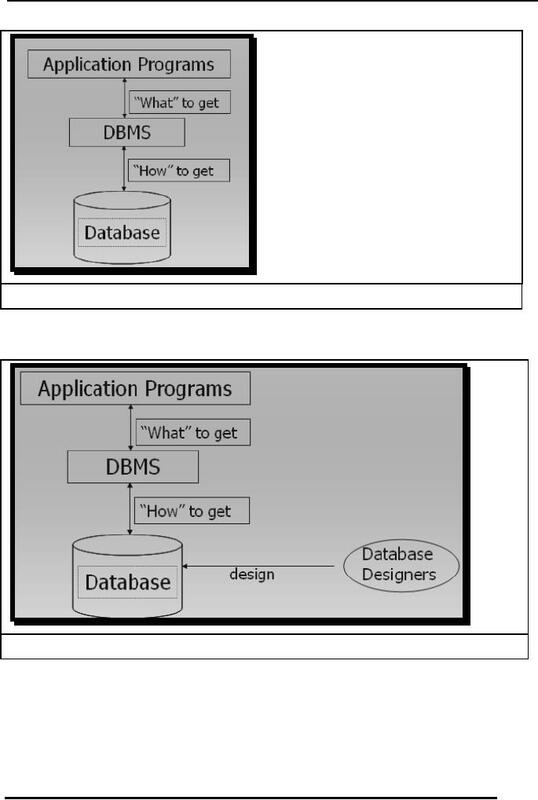 effort is required in terms of the system and database design. Concurrency means the access of database form as number of points simultaneously. two user face any delay in the processing of their requests. consistent state so that the transactions made after the last backup are not lost. handsome amount of money to have all the requirements of the database systems. as other resource are considered. 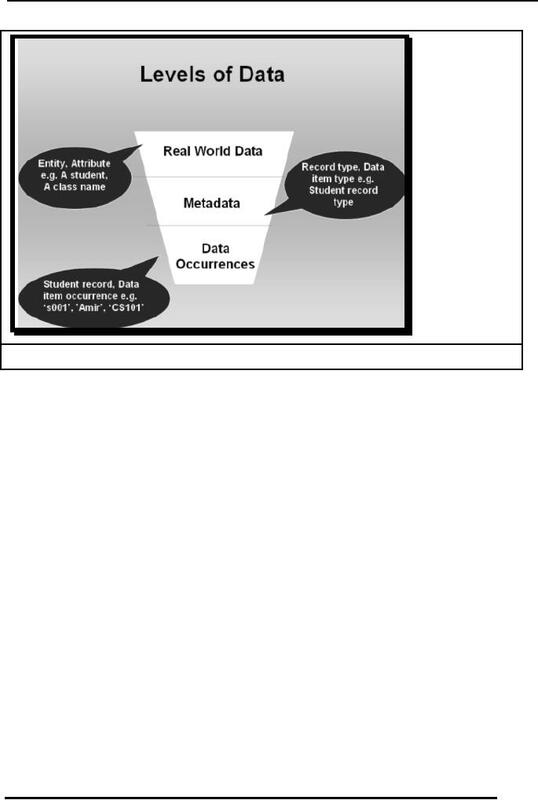 Why we call data as a resource? attributes through which we can identify that specific object or entity. many and what attributes will be used to store the data about the entity in the database. according to the rules define at the Meta Data level. 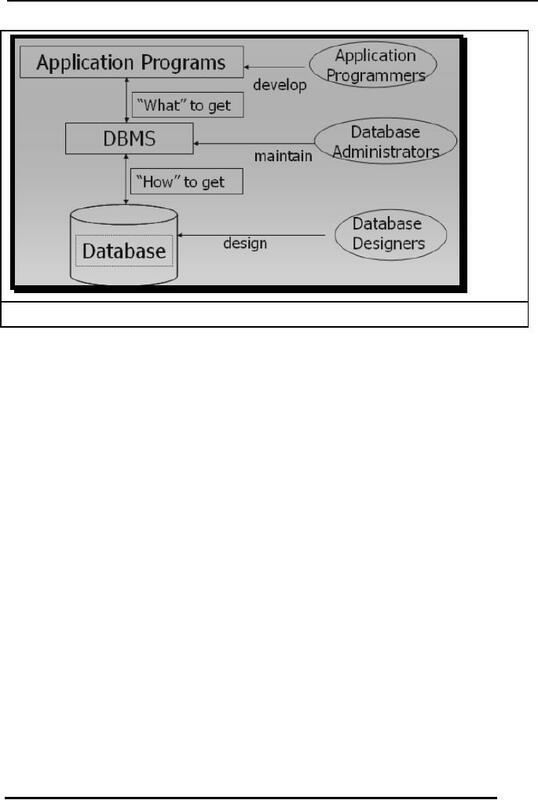 structure of the database and know clearly about the needs of the organizations. further working of the database. 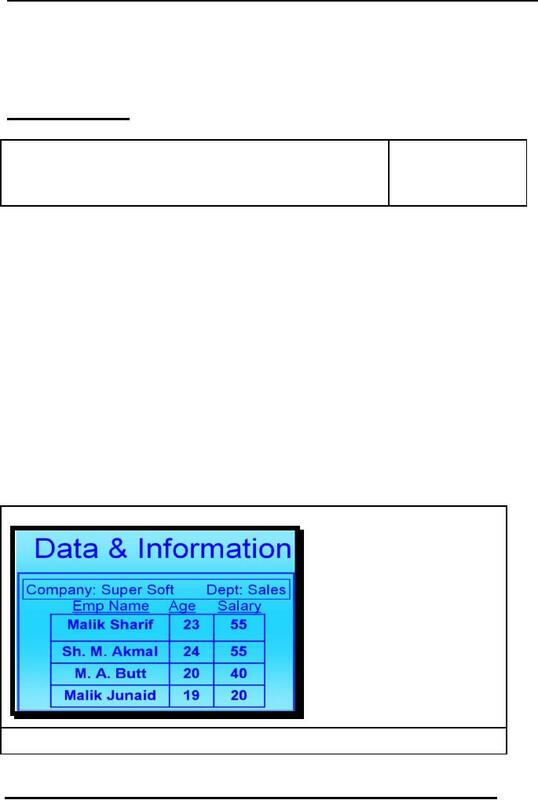 loss to the data in database. experience and very elegant technical skills. handed over to the DBA for further operation. the legal use of these rights. disk space usage and statistics to ensure that no data over flow occurs at any stage. they describe graphically the role of different types of users. for use by the users of the database in any specific organization. o Grant of rights to database users. o Ensuring quality of Service to all users. 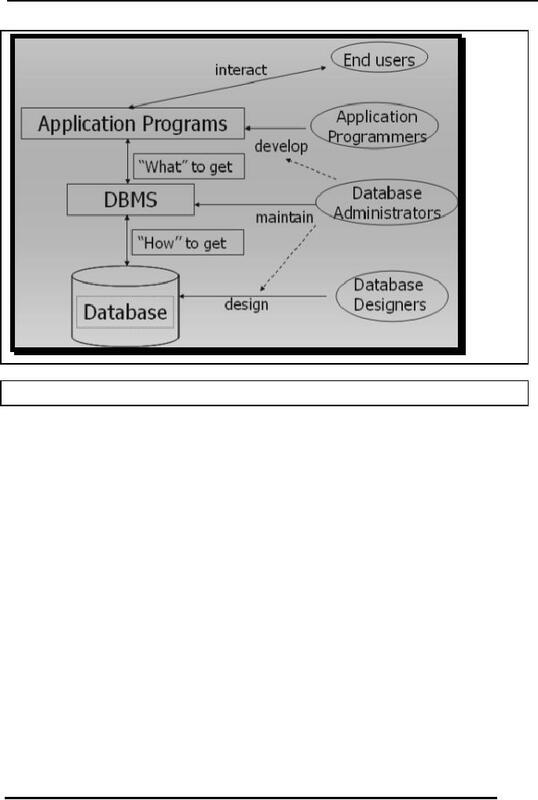 o This helps DBA perform different tasks related to the database structure. development process and provides his services for better design of applications. as specified in the description above. This concludes lecture number 2, in case of any queries, please feel free to contact.